This new Replacement Tape includes an enhanced formulation for faster, easier removal. This means less gunk to remove from the client’s hair, which cuts reinstallation appointment times in half. This hypoallergenic, skin safe tape keeps the extensions securely bonded to the natural hair. 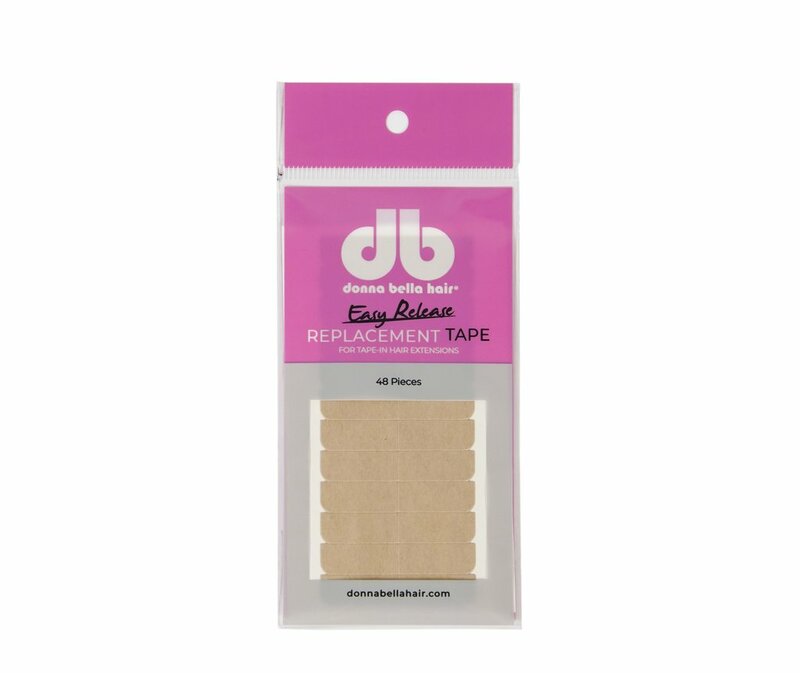 Use the alcohol-based Donna Bella Easy Release Bond Remover to remove the Easy Release Tape bonds. making sure to align the edges perfectly. NOTE: Do not apply Easy Release Replacement Tape to Tape-In Extensions until all the old adhesive has been completely removed using the Easy Release Bond Remover.